Day one: Visit a local market in the morning and stock up with food/fuel. The market towns of Amboise, Loches, Bléré and Montrichard are all worth a visit. you can easily spend a day in Amboise (where Leonardo da Vinci died: visit his home, now a fascinating museum about his life and works) or Loches (where Joan of Arc is reported to have begged Charles to fight for his crown and become King of France). Both have small (but perfectly formed) chateaux and are the sort of places you can enjoy a coffee in the town square, and watch the world go by for an hour or so. Day two: A car free day! 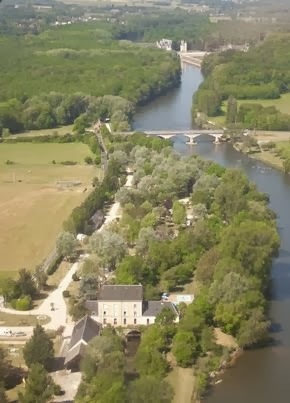 Hire bikes (11€ per day from the campsite) or walk to Chenonceau, then back to the site to chill out for the afternoon. We have cycle routes suitable for novices and keen cyclists.